The seizure was made as part of the Interpol-coordinated Operation Pangea XI. ALMOST 90,000 DOSAGE units of prescription medicines valued over €375,000 have been seized by Irish authorities this month. The seizure was made by the Health Products Regulatory Authority (HPRA), along with Revenue’s customs service and An Garda Síochána, as part of the Interpol-coordinated Operation Pangea XI. Operation Pangea, which took place earlier this month, is an international week of action targeting the online sale of falsified and illegal medicines. Irish authorities joined representatives from 60 other countries working to target the criminal networks behind the sale of falsified and illegal medicines via illicit online suppliers and online e-commerce platforms. It was also announced today by Interpol that the global Operation Pangea XI resulted in over 10.1 million dosage units of illegal medicines and medical devices, with an estimated value of $14 million, being detained across the 61 countries involved. Globally, 4,990 websites and web pages on social media, e-commerce sites and other advertisement platforms were shut down or were in the process of being shut down. In addition, in line with the approach taken in Operation Pangea, the HPRA, Revenue’s customs service and An Garda Síochána have targeted, on an ongoing basis throughout 2018, illegal online supplies, including through social media, coming into and within Ireland. This ongoing action has, from 1 January to the end of September, led to the detention of nearly 400,000 dosage units of illegally supplied online medicines valued at €1.39 million. This ongoing focus in Ireland has also resulted in 14 social media pages and 10 e-commerce advertisements being taken offline. Another 56 websites were investigated to force them to either close or cease selling medicines into Ireland. “We have detained almost half a million dosage units of illegal medicines since the start of the year which is concerning,” HPRA chief executive Dr Lorraine Nolan said. Falsified medicines and medical devices can appear legitimate, but we can’t stress enough that there are simply no guarantees as to what is contained in these products. Members of the public are putting their health at significant risk by buying medicines from unverified and unregulated sources. She added that laboratory analysis of products detained has shown that these illicit medicines often contain too little or too much of the active ingredient and have been found to contain harmful or undeclared substances. 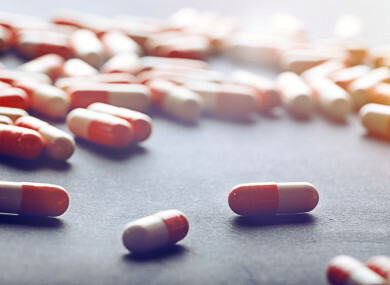 “Under the law, the supply of prescription medicines by mail order (including the internet) is prohibited,” Nolan said. Email “Almost 90,000 illegal prescription medicines, including 5,700 erectile dysfunction pills, seized”. Feedback on “Almost 90,000 illegal prescription medicines, including 5,700 erectile dysfunction pills, seized”.